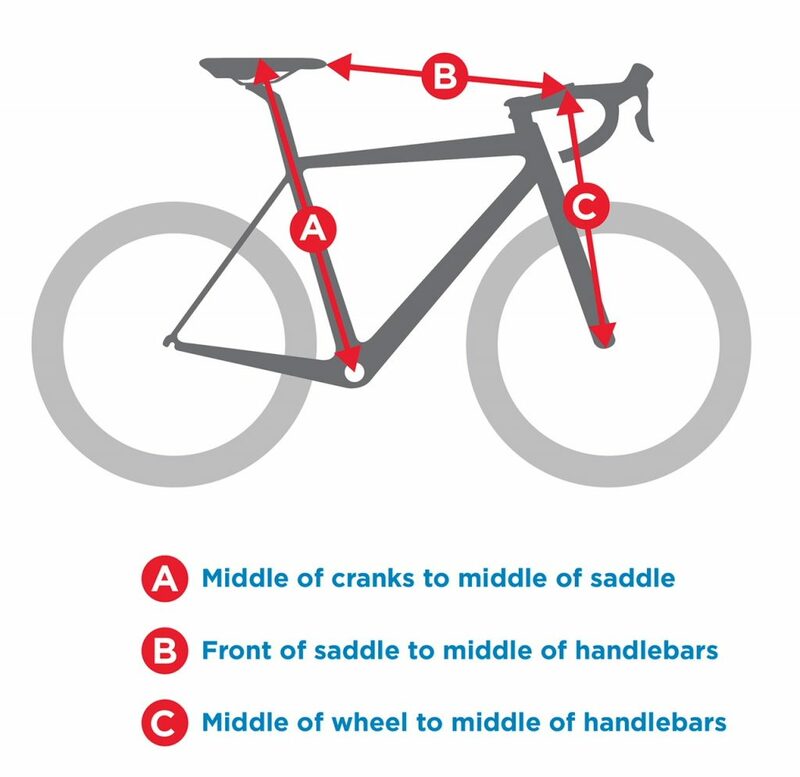 We require the following ABC sizes to prepare your bike to your exact measurements. Only the best! See our our bikes section for more details. Do you offer Female specific bikes ? Yes we are one of the only hire centres in Mallorca to have Female specific bikes for hire. Yes delivery is free of charge for hotels & apartments in the Puerto Pollensa and Alcudia area. There is a small charge of £10/€12 (includes delivery and collection for up to 7 bikes) for villas in these areas and any location in Pollensa due to the added time these deliveries can take. Deliveries outside these areas area charged accordingly on request. You can also collect from our premises in Puerto Pollensa if preferred. Times are always approximate but we endeavour to make all deliveries as near as possible to the booked time, however during busy periods deliveries may differ slightly and those outside the Pollença and Alcudia areas may have to be made after local deliveries have been completed. In all cases we’ll inform you if delivery differs from the arranged time, please have your phone with you and turned on !! Can you deliver to different areas of the island? When you book the bike hire you will be asked the location of where you staying in Mallorca. If you are outside the Pollensa/Alcudia and surrounding area please contact us prior to booking as during busy periods delivery is not always possible, a small delivery charge will be applicable depending on your location, we will issue a quote once your location is provided. If you have specific requirements, contact us as we will always try to help. Times are always approximate but we’ll contact you if they differ from the arranged time. On booking we request a approximate delivery & collection time. Times are always approximate but we endeavour to make all deliveries are as near as possible to the booked time, however during busy periods deliveries may differ slightly and those outside the Pollença and Alcudia areas may have to be made after local deliveries have been completed. In all cases we’ll inform you if delivery differs from the arranged time, please have your phone with you and turned on !! Earliest Delivery time is 9am (8.30 store collection) and all bikes need to be returned by 18.00hrs on your last day. Please don’t leave your biggest ride until the last day, all bikes need to be returned before 18.00hrs, bikes received late back will be subject to an additional fee. Its is VERY important you provide a contact telephone number as we will need to contact you before delivery/collection to ensure there have been no delays and you or the bikes are available. From March through to October our basic hours are 8.30 to 6.30pm. We are predominantly a delivery and collection service so it’s always advisable to contact us prior to visiting. All bikes need to be collected or returned by 6pm on your last day. Can you provide insurance for the rental period? What happens if I have a Mechanical issue or puncture while out riding? All bikes come with a small saddle bag, 2 x spare tubes, tyre levers and pump so you will be able to fix the puncture and get on your way. If you experience any other mechanical issues while out riding just contact us and we will do our best to rectify the situation. If our tubes are used we charge €5 per tube. We can highly recommend www.bicirescue.me for breakdown cover. Are the brakes set up UK or continental style ? Unlike a lot of Hire companies on the island all our brakes are set up standard UK style i.e rear brake on the left. Do your bikes come with pedals? Most customers like to bring their own pedals and shoes, we will obviously ensure that these are fitted correctly to your bike when we hand it over. We do have stock of most types of pedals, Shimano SPD-SL, SPD – MTB, Look Keo & Delta, Speedplay, Flats or with toe clips. If you require pedals adding to the bikes, add this information into the comments box when ordering or contact us with your name and email address and we will provide pedals for you. (Note there is a small additional charge to hire pedals). Do I need a helmet or lights while riding in Majorca? It is not a legal requirement to use lights unless you are obviously cycling during darkness. We do advise customers to use at least a small rear light as there are a number of tunnels which are unlit (also remove sunglasses whilst in the tunnels !!) We do have small led rechargeable lights available to hire. Can we provide energy nutrition, maps, Bottles & Co2 canisters? Yes If you’re traveling with hand luggage only it’s difficult to bring gels etc with you. We always have Bottles, Co2 canisters and a number of gels, bars etc from SIS & stealth on the van or in the shop. We also have available to purchase a laminated high quality map with nice quiet roads and routes highlighted. What do I do if the bike I'm interested in is not showing available on the site? It generally means all those models are hired out, however if you contact us we maybe able to find you the same or similar bike for part or the whole of your visit. Cancellations up to 28 days before the commencement of the Hire Period will result in a full refund of the Hire Fee less a 20% administration fee. Cancellations within 28 days of the commencement of the Hire Period will forfeit the total Hire Fee. Like the bike you've hired! Would you like to purchase a new one or a used hire bike? Please contact us as you can include your Hire cost towards the purchase of the bike or wheels from our U.K. Store Langsett Cycles in Sheffield. We often sell a number of Hire bikes at the end of the season at vastly reduced prices, contract us with the model and size your interested in. Is there a group ride or guide available ? There’s a group ride that departs every morning from the famous Tolo’s Bar and Restaurant which is located opposite the beach in Puerto Pollensa. It’s generally around 70km at a steady pace and obviously includes a cafe stop. Meeting times varies depending on the time of year. For something more structured or a personal guide, please contact our friends at Mallorca Cycling Tours at www.mallorcacyclingtours.com/contact-us or Ottilie Quince at www.oqservicecourse.com & mention Mallorca Bike Hire. If you require an airport transfer or Taxi please contact Juan and mention Mallorca Bike Hire for a preferential reliable service. The 2019 Mallorca 312 Granfondo takes place on Saturday 27th April. This is the busiest time of the year for all cycle hire companies so booking early is advisable. Please note we have a minimum 4 day hire charge for hires that include the 27th April. Due to road closures on the day we are unable to collect bikes in the Alcúdia, Can Picafort & Playa de Muro areas, if you are located outside the Puerto Pollensa area please contact us regarding the collection of bikes. Bikes can however be returned to our store in Puerto Pollensa upto 20.00hrs on the day of the event.